Arizona’s summer heat demands a lot of our homes, especially our air-conditioning systems. To meet these demands, we often install the largest, most affordable systems to keep us comfortable on the hottest days. Unfortunately, this can result in higher than necessary costs and reduced comfort on the milder days. If you’re considering upgrading your AC, take advantage of the SRP Cool Cash™ Rebate Program. We can help you select the best system to keep you comfortable all summer long and install it in accordance with industry and manufacturer specifications to ensure it operates at peak efficiency. Arizona summers can be tough on your cooling system, and there’s not much worse than a broken AC when temperatures are 110° or higher. In preparation for summer, SRP is offering customers a discounted 20-point inspection for just $65.95 (tax not included). 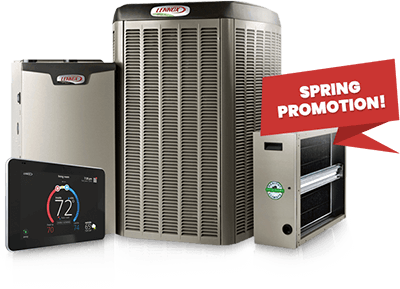 To take advantage of this offer, you must schedule an inspection with Collins Comfort Masters (SRP Certified Contractor) before April 30, 2019.